From the way we learn and work, to the way we stay in contact with friends and loved ones, the internet has come to occupy a critical part of people’s lives across the world. And especially among younger generations, the internet is playing an increasingly large role in individuals’ everyday life— fulfilling everything from our entertainment to transport needs. Access to the web is by no means equally distributed. However, when it comes to connecting people through the internet, cities have long demonstrated leadership. Worldwide, cities have consistently ensured better internet accessibility rates and faster connections for users—and now, cities are taking internet access to a new level. To ensure that urban residents have access to the Internet, some cities have begun broadcasting free public Wi-Fi in city centers, transport hubs, and parks. Attracts both locals and tourists to hotspot areas, which is especially effective for government buildings, parks, and transport hubs. The increase in traffic can also help boost businesses located in these areas. Allows low-income residents who are unable to afford a reliable broadband connection access to quality internet. Public internet brings local governance and businesses into conversation around how public space is used, and creates collaborative partnerships between the two. With the majority of public services moving online and onto mobile apps, public Wi-Fi allows citizens with mobile devices to access transport schedules, announcements, and emergency contact information. Taiwan became one of the first countries to publicly broadcast free Wi-Fi on a large scale when it launched iTaiwan in 2011—a wireless network with more than 5,000 hotspots across the country. 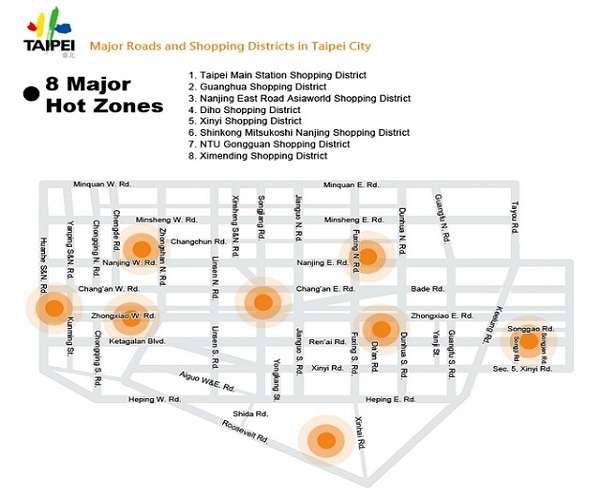 Taipei, Taiwan’s capital city, has been particularly enthusiastic about implementing this program, opening hundreds of hotspots and reaching millions. Indeed, Taipei’s public Wi-Fi, called “Taipei Free,” recently celebrated a landmark, reaching more than 100 million registered accounts. Free public internet has long been a campaign promise from São Paulo’s mayoral candidates, but the idea only recently became a reality. Seizing the 2014 World Cup as a major opportunity for change, São Paulo’s mayor, Fernando Haddad, invested millions into an initiative that would create 120 Wi-Fi hotspots throughout the city. While the infrastructure behind this project took some time to complete, each of the city’s 96 districts now has at least one Wi-Fi access point. Furthermore, unlike many other public internet systems, São Paulo’s Wi-Fi doesn’t require any registration, making it open to all users. What do you think? Should free public Wi-Fi be a goal for cities? Let us know in the comments below!